O/B Landing: (Not NG) Three position switch Off - Extend (off) - On. These are located on the outboard flap faring. Retractable Landing: (NG only) Replaces the outboard landing lights on the earlier series. These are located on the fuselage just beneath the ram air intakes. The word is that they may be being moved back to their original position on the flap track faring due to excessive stone damage. 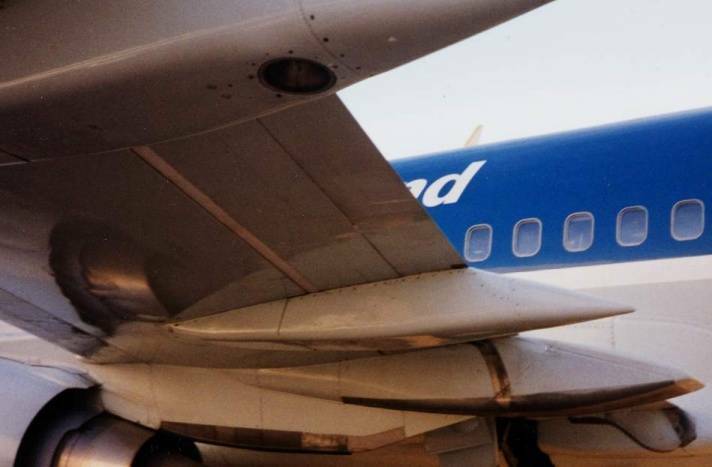 I/B Landing: Known as fixed landing lights on the NG. Are located in the wing roots, usually used for all day and night landings for conspicuity. 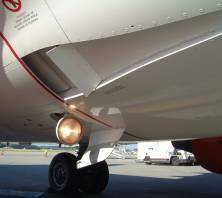 Taxi: This 250W light is located on the nose gear, on later models it will switch off automatically with gear retraction. It is common practice to have this on whilst the aircraft is in motion as a warning to other aircraft and vehicles.